I’m a second generation pest control technician. 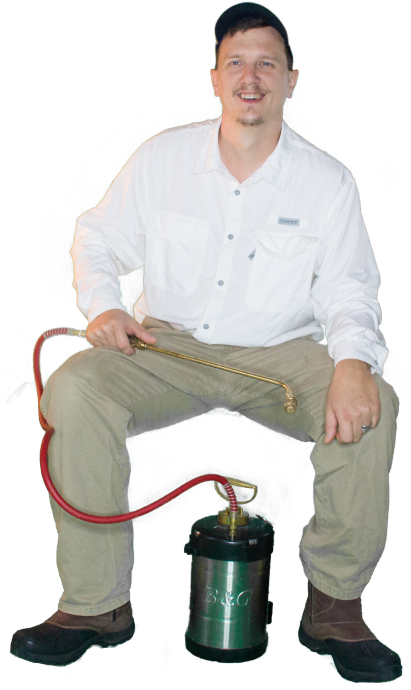 My father trained me well in the family company, and now 30 years later my wife and I have our own company and hope to raise our kids with the same passion for helping people by removing pests that can cause so much worry and terror for our customers. When you call Green Akers Pest Control LLC you won’t get a pushy salesman. You’ll get me or my wife, Alisha. You may hear our kids in the background playing as they go about their day. We are fully invested in your safety and comfort and invite your questions and concerns about your pests. We won’t call you repeatedly trying to sell you our service. Feel free to call us if you have questions about what you can do before you hire an exterminator. Some problems can be solved without an exterminator, but others really require a professionally trained technician. Just remember, that trying to do-it-yourself limits you, the customer, to less effective treatments. If you fix the problem, we are so happy it worked. If not, don’t forget that we are still here when you need us. Green Akers Pest Control LLC is your local family owned pest control company.